Be a savvy bargain book and media hunter at the Friends of the Bay County Libraries 44th Annual Used Book Sale! 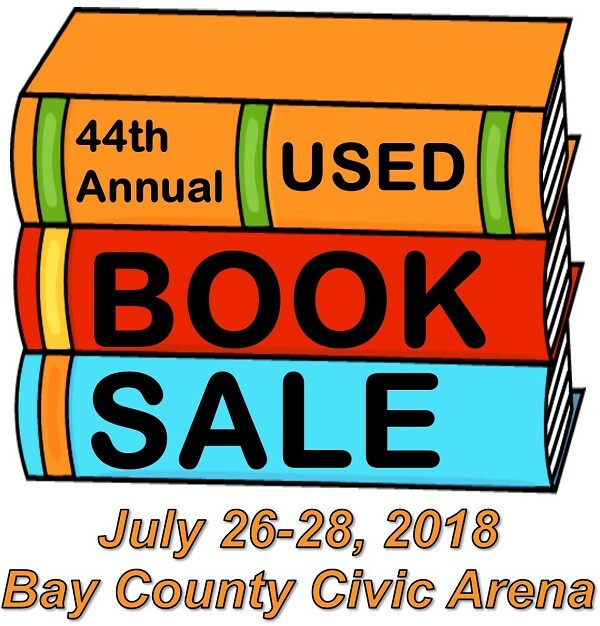 One of the largest in Michigan, thousands of items such as former best sellers, special interest, children's materials, reference sources, magazines, CDs, books on tape, DVDs and more, will fill the rink at Bay County Civic Arena from Thursday, July 26 through Saturday, July 28. The Bay County Civic Arena is located at 4231 Shrestha Dr. in Bay City. You may enter near either Bay Lanes on N. Euclid or Gordon's Food Service on Wilder Rd. Hours are Thursday from 8 am to 8 pm, Friday from 10 am to 8 pm, and Saturday from 10 am to 5 pm. On Thursday, hardcovers sell for $2.00 and paperbacks are $1.00. On Friday, prices drop to $1.00 for hardcovers and $0.50 for paperbacks. Children's books are $.50 on both days, and audiovisual items such as CDs, DVDs, books on tape and more are also priced to move. During the Saturday clearance, everything goes for $3.00 per box or bag! The Bay County Library System serves over 107,000 residents through four branch locations in Bay City, Pinconning, Auburn, and a Bookmobile. All proceeds from the book sale are used by the Friends to buy equipment, materials, and services for the public not made possible through the library system's operating budget. Earnings from previous sales have funded such projects as children's reading programs, library publications, visits by children's authors, and community meeting room furniture. Volunteers are needed to help with all aspects of the sale! If you would like to help, please email Bonnie Darby at bonniedeedarby@gmail.com or call (989) 284-3835.